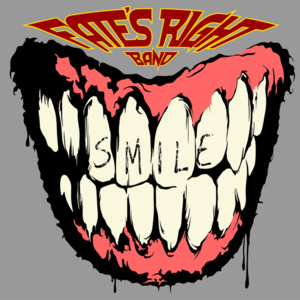 Fate's Right Band releases "Smile"
Fate´s Right Band with Jonny Lindkvist(Nocturnal Rites) from Sweden is now releasing ”Smile” – an EP containing 5 songs with the intention to kick you in the crotch. The EP is also this time recorded in Garageland Studios in Umeå, with Ronnie Björnström behind the levers. We are very happy with the sound that Ronnie produced. Ronnie got free hands to create a modern and heavy sound in contrast to the somewhat more open sound in the last release. 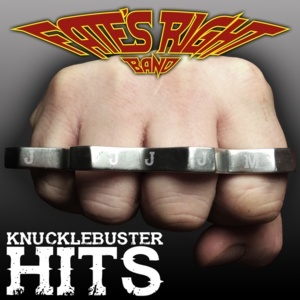 The band thinks that Ronnies mix and mastering came out fantastic. We think it is so amazing and stimulating to create music together and each session allways make us raise our grin. Therefore, the EP is simply named SMILE. 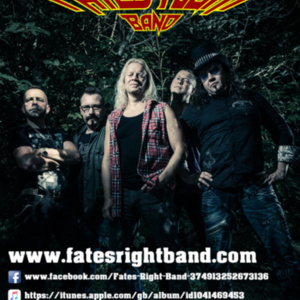 The Purpose of releasing several EP's for a short time is that we are a bit impatient and want to let the public hear our tunes faster and not have wait for a full album. It also puts some pressure on us to be more focused and determined and to keep the creative process going.